Enjoy our tours visiting all the best sites in Ulaanbaatar. We offer packages including 7 hours round trip transfers and waiting on site. Our priority is to provide personalized service. Our drivers are carefully selected and trained to welcome and accompany you throughout your tour. Their conduct and the comfort of our vehicles will ensure you a safe and relaxing journey. Let us guide you for Ulaanbaatar City tour and discover the unusual place and the best sites of the capital. Vehicle rental for Ulaanbaatar city by afternoon tour! Vehicle with driver for a tour of Ulaanbaatar by afternoon. For an unforgettable evening, enjoy the luxury of being driven by a chauffeur! Your chauffeur in uniform picks you up at your your hotel, airport or train station in Ulaanbaatar. Comfortably installed in one of our cars, heading towards the restaurant of your choice. After your lunch you can enjoy a tour around Ulaanbaatar and discover its most beautiful illuminated monuments. Built by the Russians to commemorate ‘unknown soldiers and heroes’ from various wars, the Zaisan Memorial features stirring socialist realism imagery with Soviet mosaics and reliefs, including that of Stalin and Lenin. 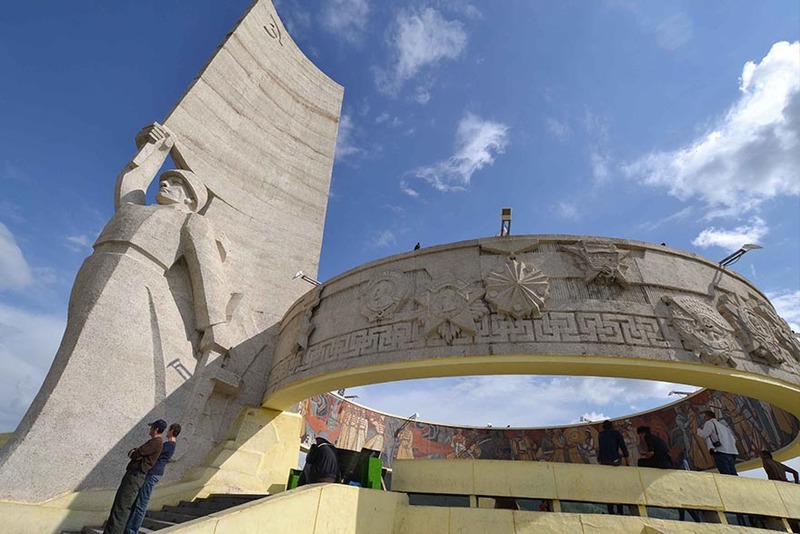 Accessed via steep stairs, the monument sits atop the hill south of the city with wonderful views of Ulaanbaatar and the surrounding hills – but blighted by recent high-rise commercial development. Built between 1893 and 1903, the Chinese style complex includes six temples, each one of them contains Buddhist artwork, including sculpture and thangka. It is one of the few Mongolian historical attractions which have neither been destroyed by the Soviets or the Communist Mongolians. 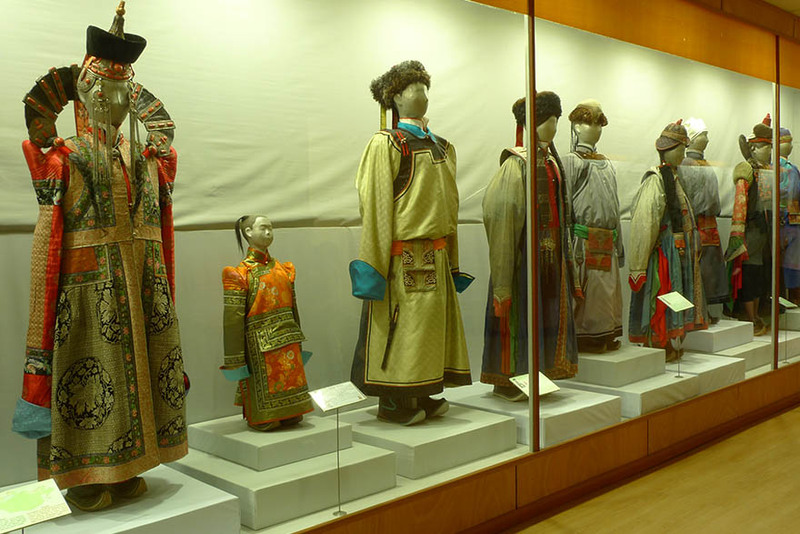 On display are many of the Bogd Khan’s possessions, such as his throne and bed, his collection of art and stuffed animals, his ornate ceremonial ger, a pair of ceremonial boots given to the Khan by Russian Tsar Nicholas II, and also a jewelled regalia worn by the Bogd Khan’s pet elephant. The iconic Genghis Khan Square, set in the heart of Ulaanbaatar, serves as a gathering space for travelers and locals alike. 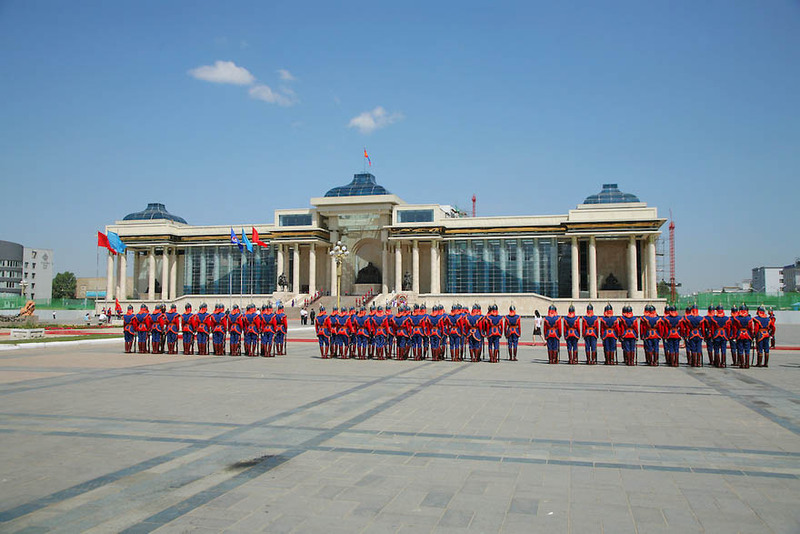 Once known as Sukhbaatar Square, its name was changed in 2013 as an homage to Mongolia’s most famous ruler. Its central location makes the square an ideal place to begin exploring the city. Visitors will find a massive statue of Genghis Khan near the entrance to the regal Government Palace, as well as a towering statue of Damdin Sukhbaatar, a fearless man who led the revolution of 1921. In addition to the vast open space that serves as a gathering area for locals, visitors can see the Mongolian Stock Exchange, Blue Sky Tower and the home of the Mongolian ballet from the center of the square. 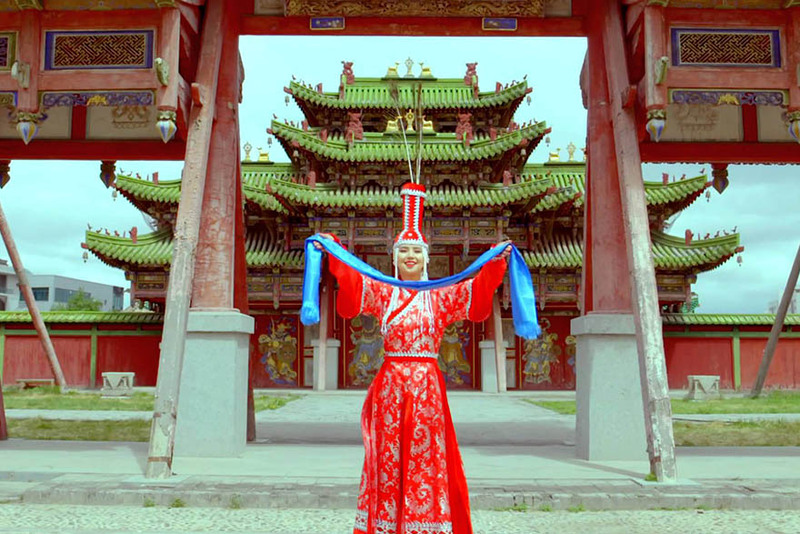 Around the start of the 19th century more than 100 süm (temples) and khiid (monasteries) served a population of about 50,000 in Urga (the former name of Ulaanbaatar). Only a handful of these buildings survived the religious purges of 1937. It wasn’t until the early 1990s that the people of Mongolia started to openly practise Buddhism again. 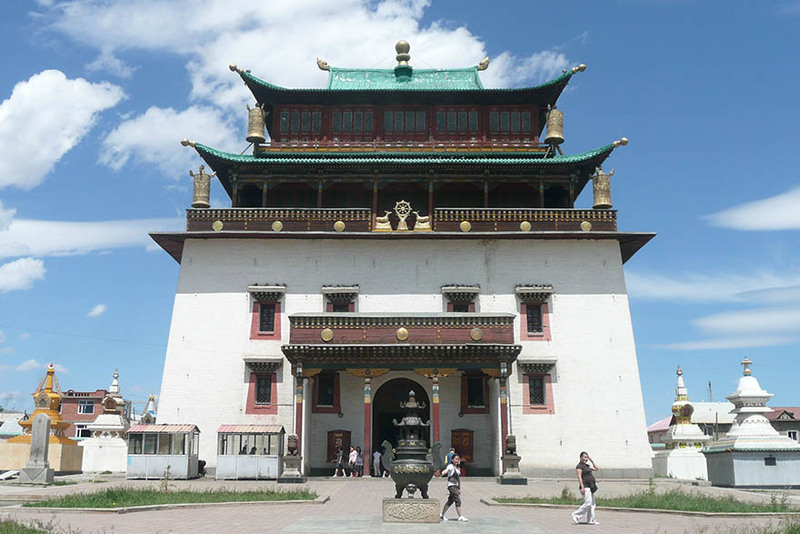 This monastery is one of Mongolia’s most important, and also one of its biggest tourist attractions. The full name, Gandantegchinlen, translates roughly as ‘the great place of complete joy.